When Berekia Divanga, ’19, moved from Kinshasa, Democratic Republic of Congo, to Raleigh in 2012, she brought her ambition and determination. Double majoring in environmental sustainability and economics, she found Raleigh to be environmentally friendly and abuzz with new opportunities to flourish. As an active member of Black Student Union (BSU) and Meredith International Association (MIA), Berekia has found a community, a place where can she thrive. She persisted and opted to believe in her own ability and her success. In the summer of 2018, she accepted an offer to work as a community asset analyst intern for Triangle Land Conservancy after receiving numerous internship offers. Berekia is grateful to the Meredith faculty and staff for their support and for recognizing her potential. She is especially appreciative of Erin Lindquist, Mary Doyle, and Tomecca Sloane for pushing her beyond her comfort zone and trusting her ability to accomplish difficult tasks. 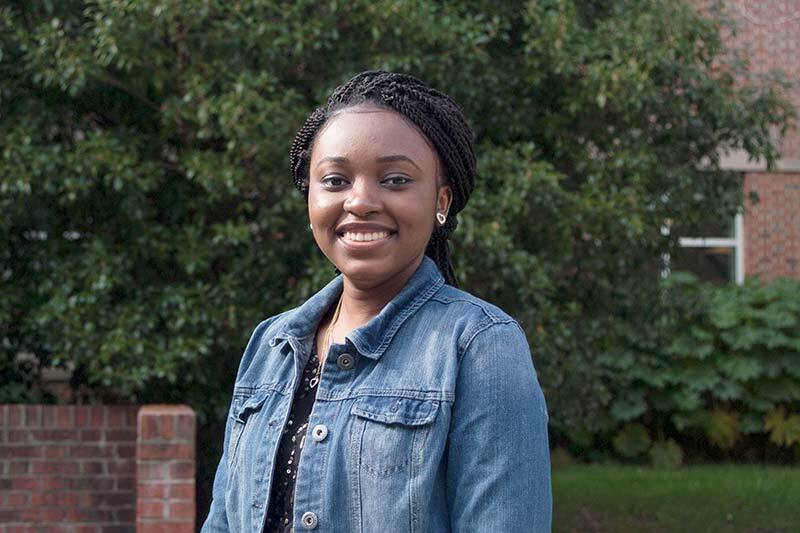 Berekia has learned so much about herself while at Meredith. As she applies to jobs and graduate schools, she’s prepared to embark on life with a newfound knowledge and anticipation.